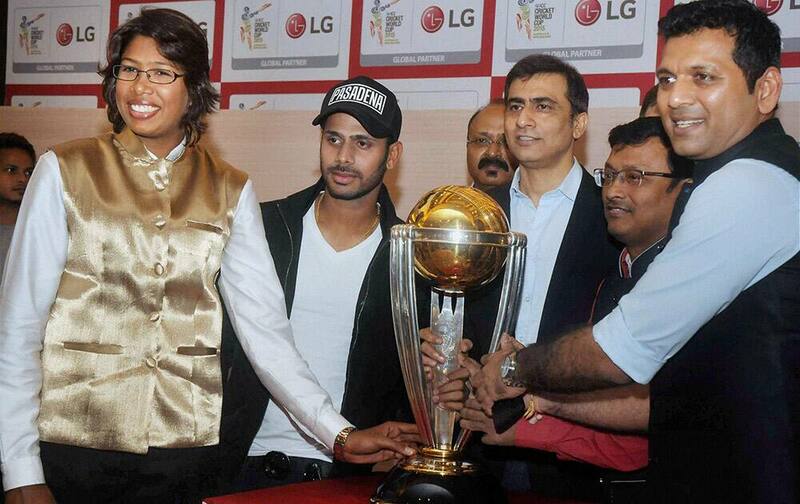 Cricketers Jhulan Goswami, Manoj Tiwari, chess grandmaster Dibyendu Barua and others pose with the ICC World Cup 2015 Trophy at a promotional event in Kolkata. 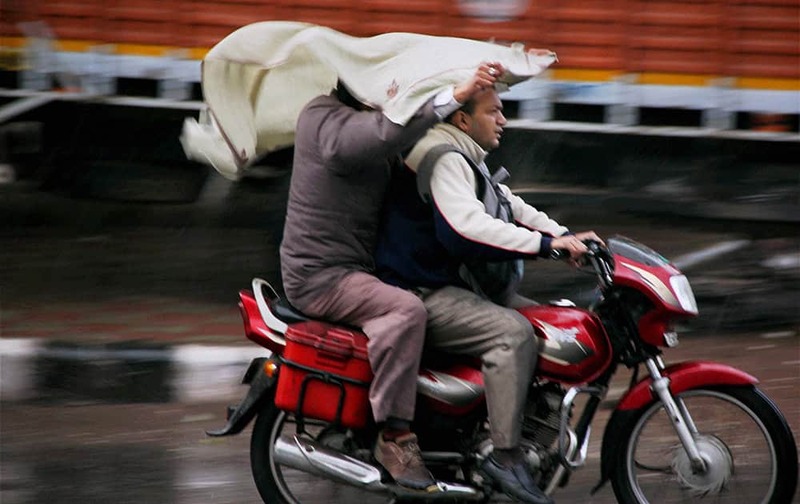 A person riding pillion on a bike attempts to shield the rider and himself from the early morning rain in New Delhi. 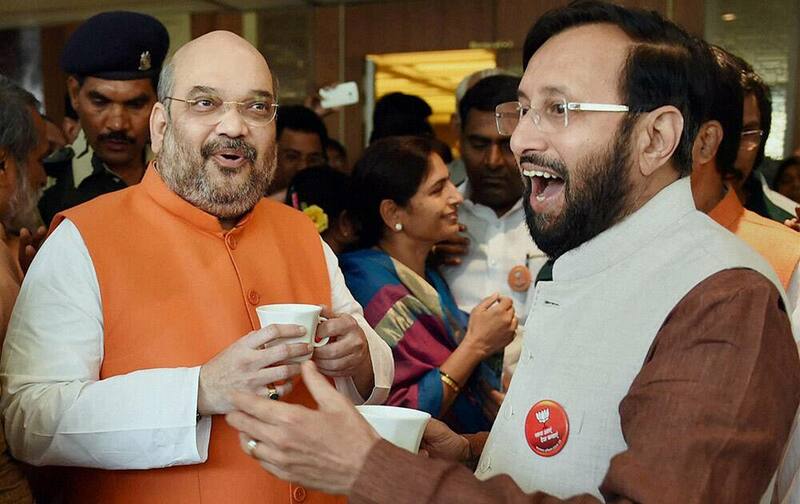 BJP President Amit Shah with Environment Minister Prakash Javadekar in Mumbai. 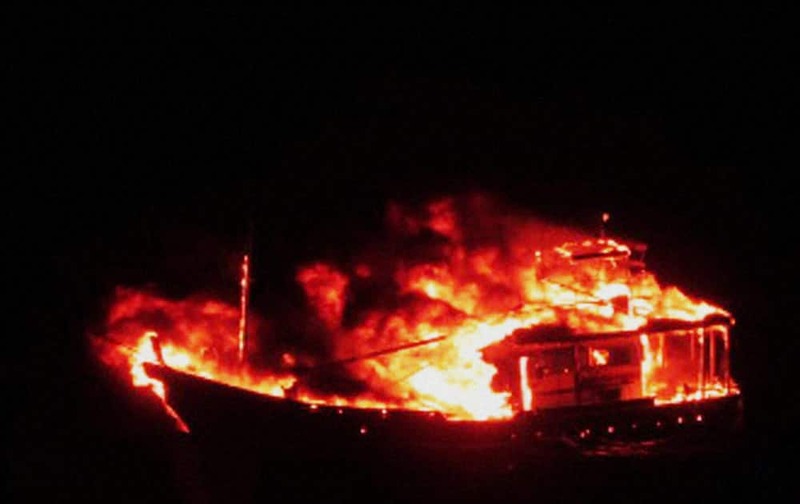 A fishing boat carrying explosives from Pakistan which was intecepted by Indian Coast Guard, set on fire by crew members following which it sank, approximately 365 km off Porbander in Gujarat. 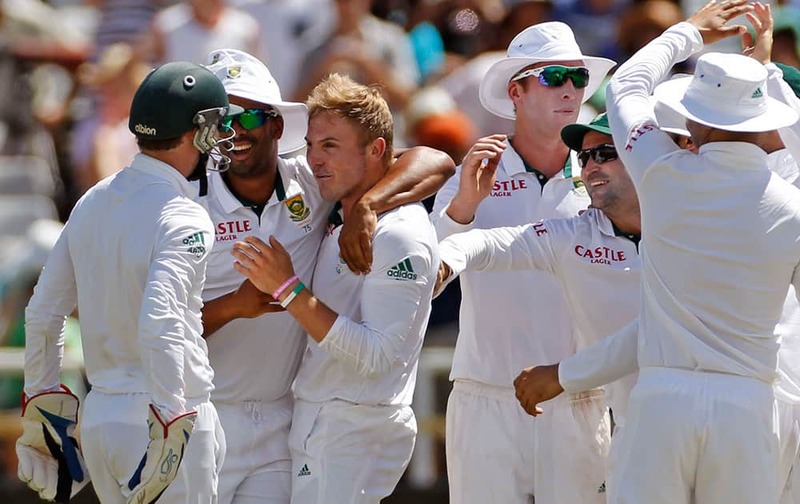 South Africa's Stiaan van Zyl, celebrates after they take the wicket of West Indies player Marlon Samuels during their third test in Cape Town, South Africa. 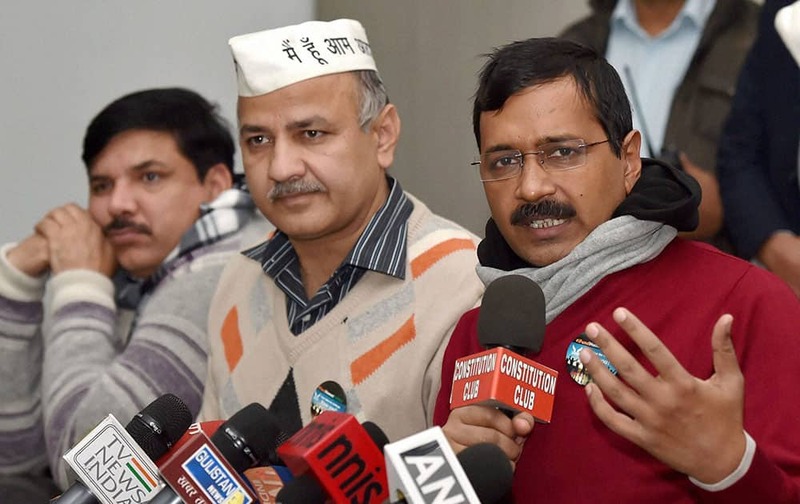 AAP convener Arvind Kejriwal with party leaders Manish Sisodia and Sanjay Singh addressing a press conference. A young wrestler poses for photographes with Uttar Pradesh Chief Minister Akhilesh Yadav, after wining a local wrestling championship during Saifai festival, in Saifai village, Uttar Pradesh. 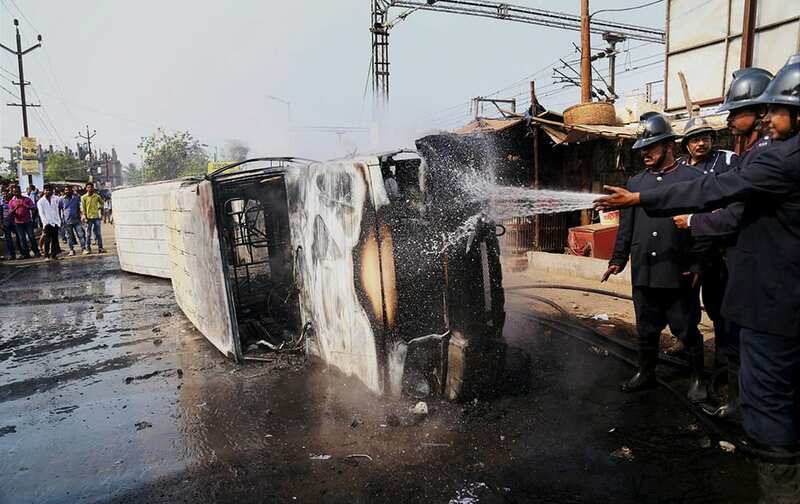 Firefighters put out fires on vehicles that were set ablaze by irate commuters at Diva Station in Mumbai. Rail traffic was disrupted following violent public protests at the Central line. 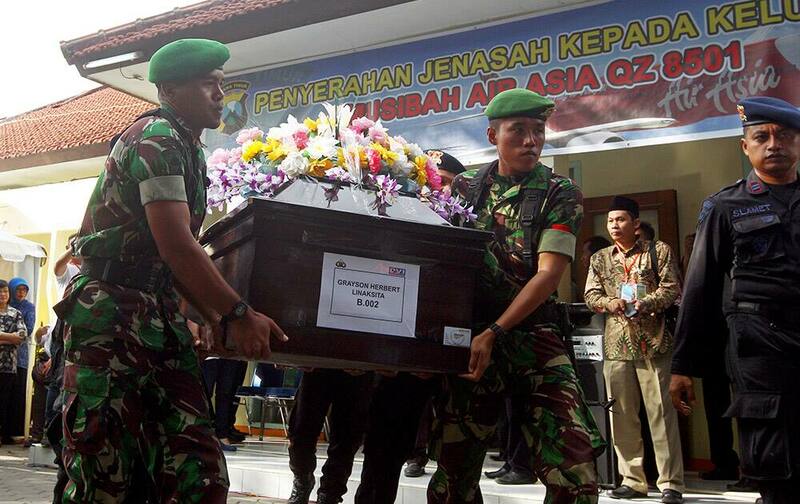 Indonesian soldiers lift a coffin containing the body of Gryson Herbert Linaksita, one of the victims of AirAsia Flight 850, during the handover to his family at the Police Hospital in Surabaya, East Java, Indonesia. 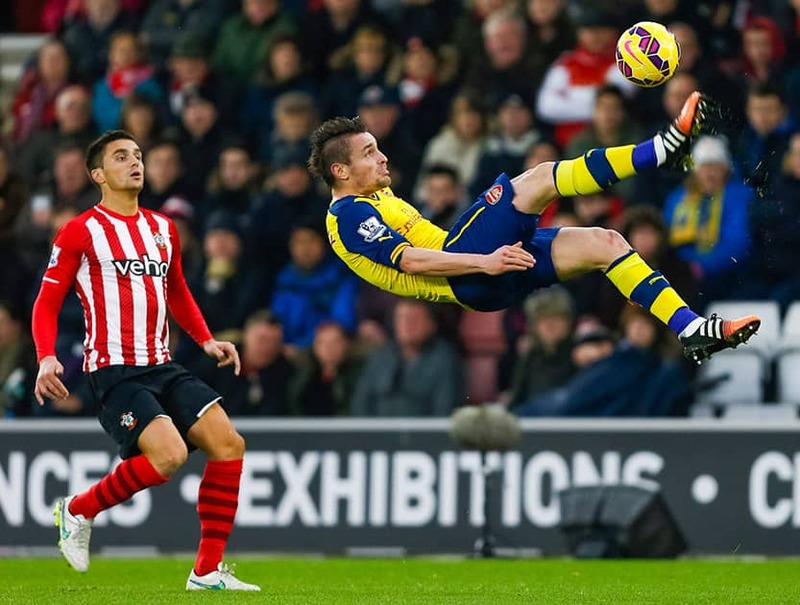 Southamptons Dusan Tadic watches Arsenals Mathieu Debuchy clear an overhead shot during the English Premier League soccer match at St Marys Stadium, Southampton, England. 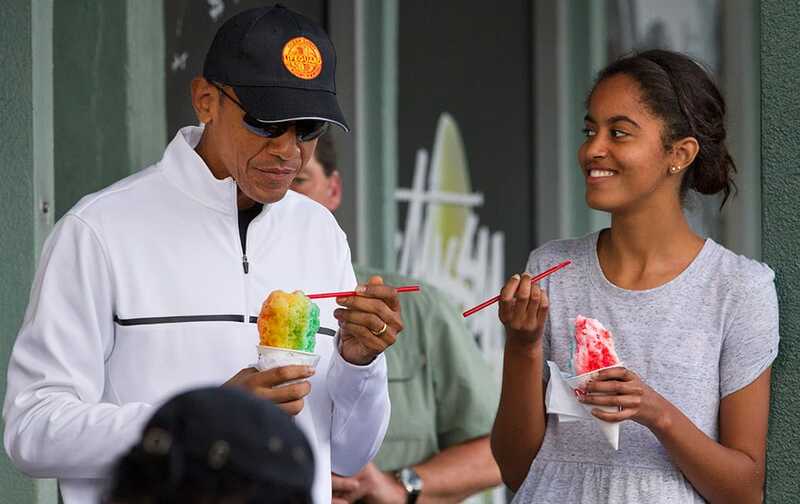 President Barack Obama eats shave ice with daughter Malia Obama at Island Snow, in Kailua, in Hawaii during the Obama family vacation. 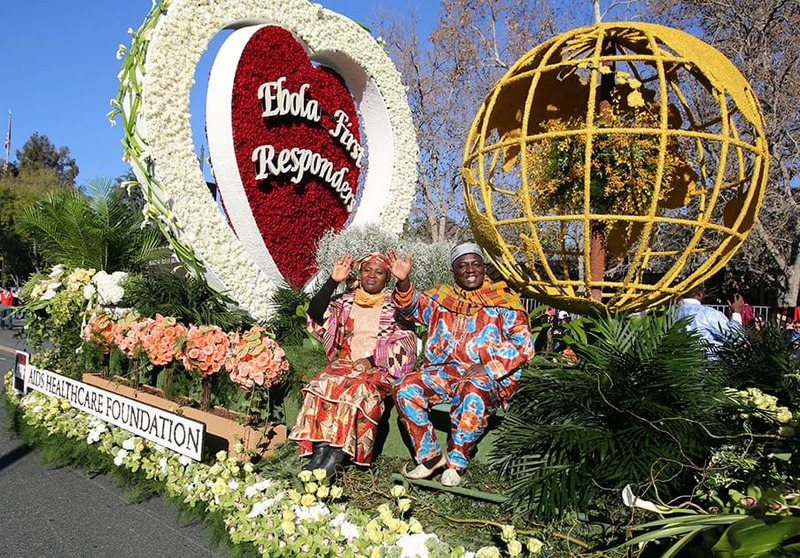 The AIDS Healthcare Foundation float, 'Protecting Global Health,' appears in the 126th Rose Parade in Pasadena, Calif. Participants take the plunge into icy water at the 2015 New Year polar bear dip at Britannia Beach in Ottawa, Canada. 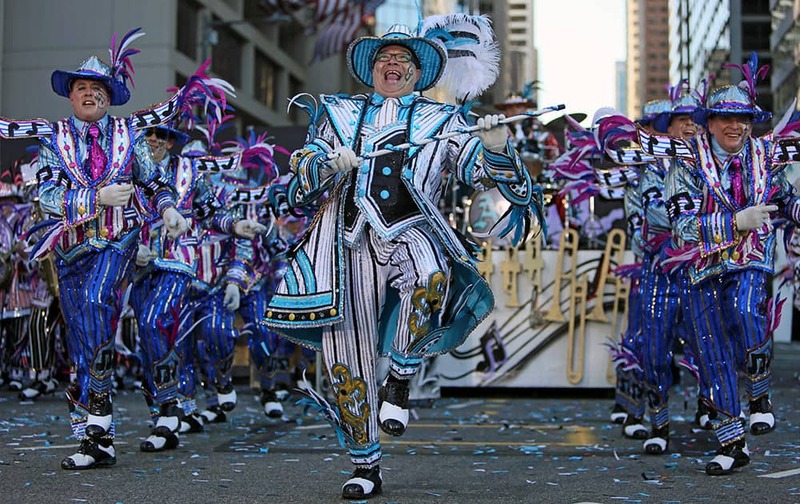 Members of the Aqua String Band perform during the 115th annual Mummers Parade in Philadelphia. Finland's Lauri Asikainen soars during the trial jump at the second stage of the four hills ski jumping tournament in Garmisch-Partenkirchen, Germany. 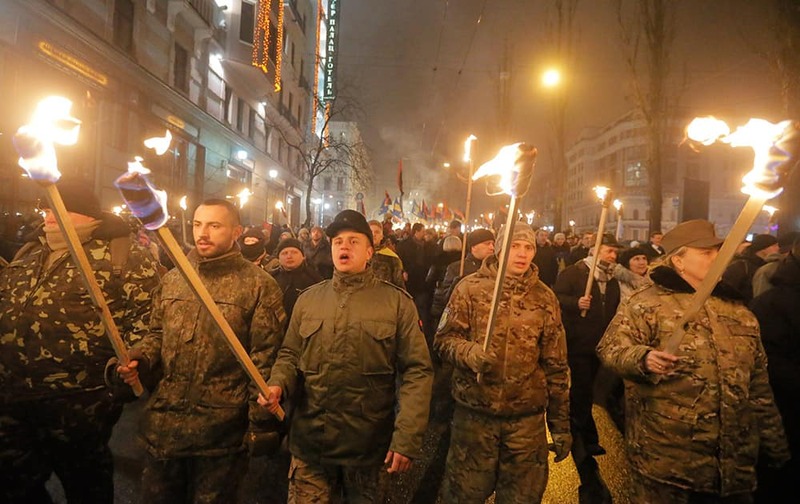 Ukrainian nationalists carry torches during a rally in downtown Kiev, Ukraine. 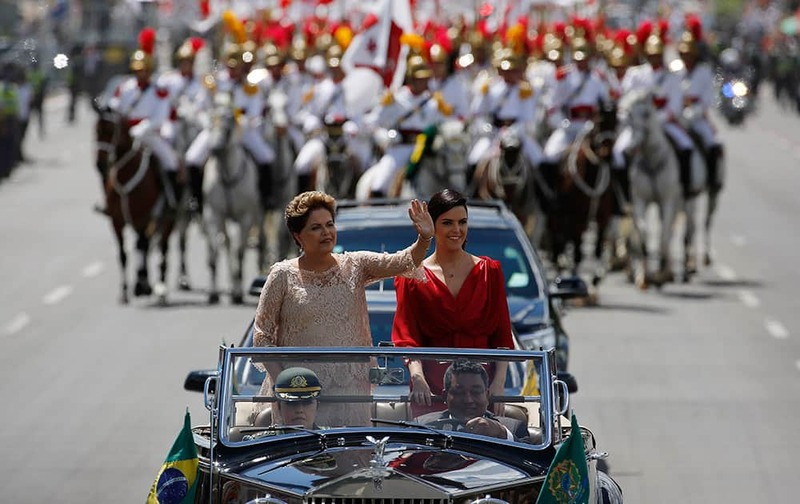 Brazil's President Dilma Rousseff, waves to the crowd, accompanied by her daughter Paula Rousseff Araujo, aboard a Rolls Royce on their way to the National Congress during her inauguration ceremony in Brasilia, Brazil. 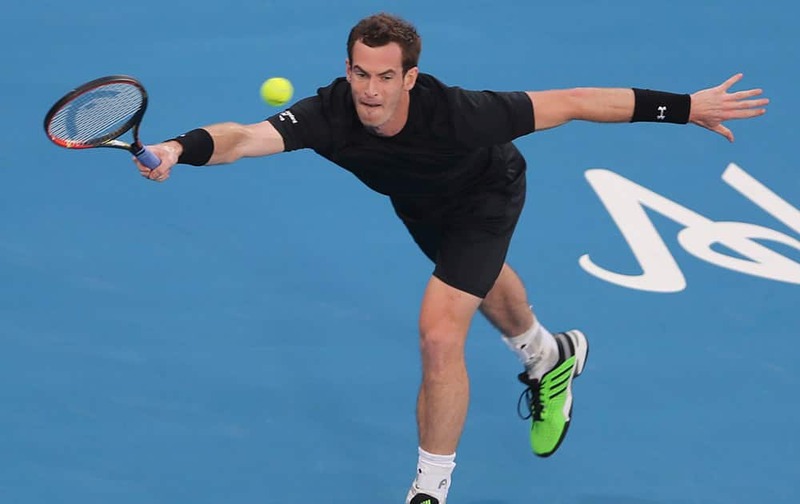 Britain's Andy Murray returns the ball to Feliciano Lopez of Spain during the first day of the Mubadala World Tennis Championship in Abu Dhabi, United Arab Emirates. 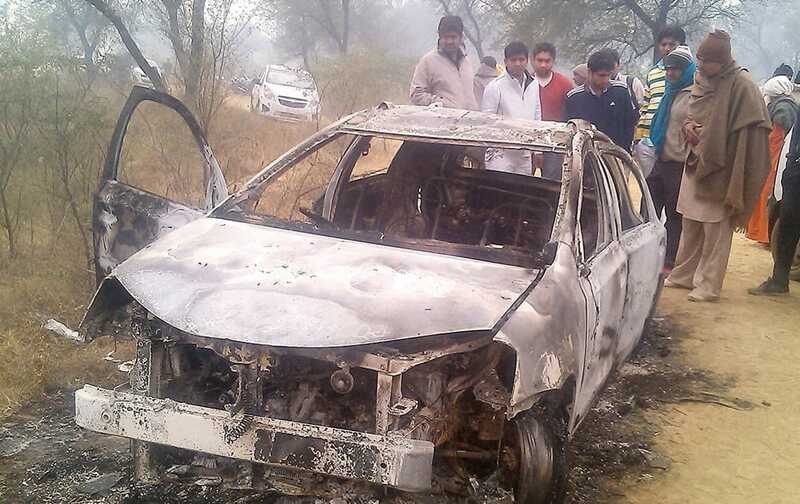 People look on damaged car in which four Delhi youth found charred inside the car at a village in Jhajjar district of Haryana. 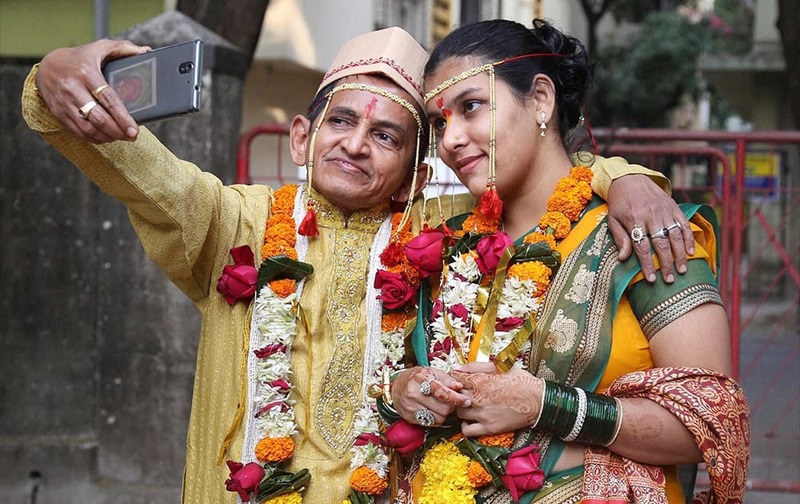 Satish Apte, 58, takes a selfie with his 20-year-old wife, Lisa, in Thane. 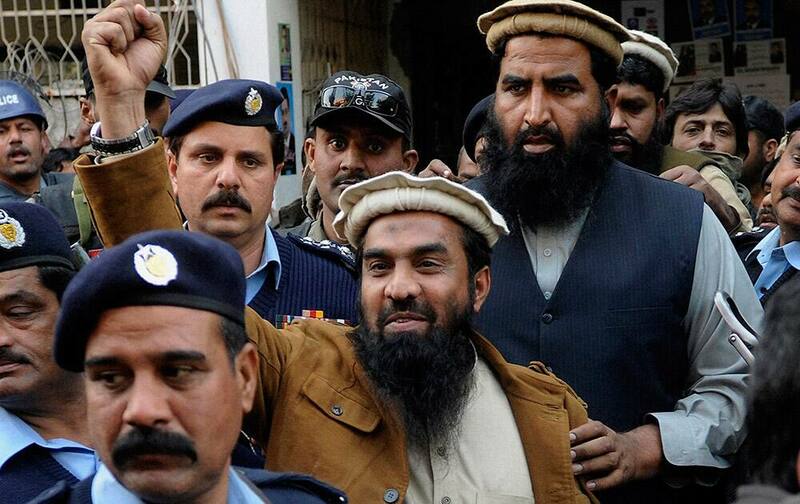 Zaki-ur-Rahman Lakhvi, the main suspect of the Mumbai terror attacks in 2008, raises his fist after his court appearance in Islamabad, Pakistan. 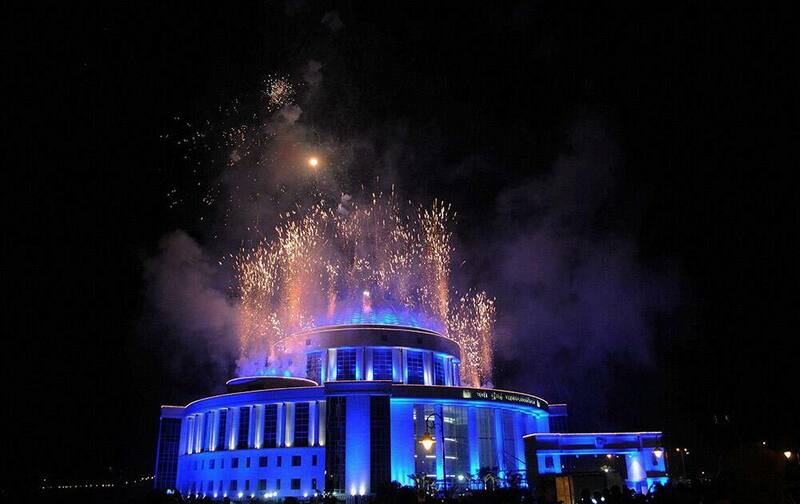 Fireworks go off at the Mahanagar Palika Building on New Years eve, in Navi Mumbai.